So you got greedy and burned your skin. 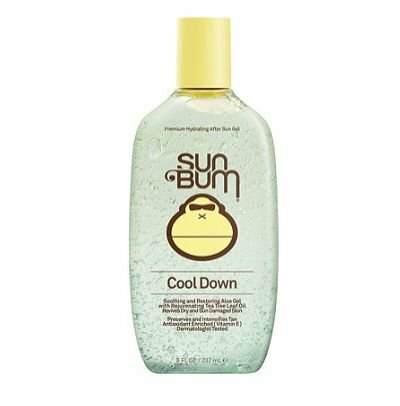 Ease the pain and calm your skin with Sun Bum "Cool Down" Gel. Vitamin E enriched, their soothing Aloe Gel will rehydrate your sun-baked skin and ease the pain of a burn and help prevent peeling. Keep it refrigerated for bonus relief.